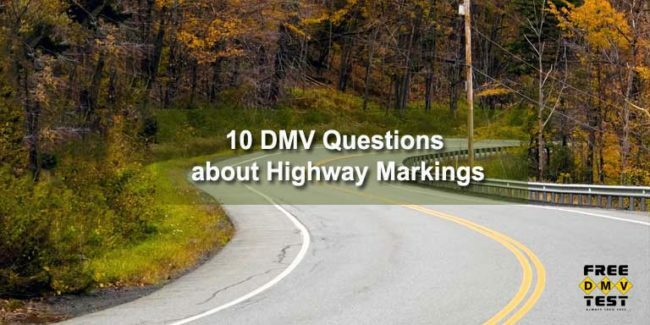 Your official DMV driver license test has one or two questions about road markings. It’s a good idea to truly understand the difference between white and yellow lines, and the meaning of broken (dashed) and solid lines. C. Separate on-ramps and off-ramps from the main highway. 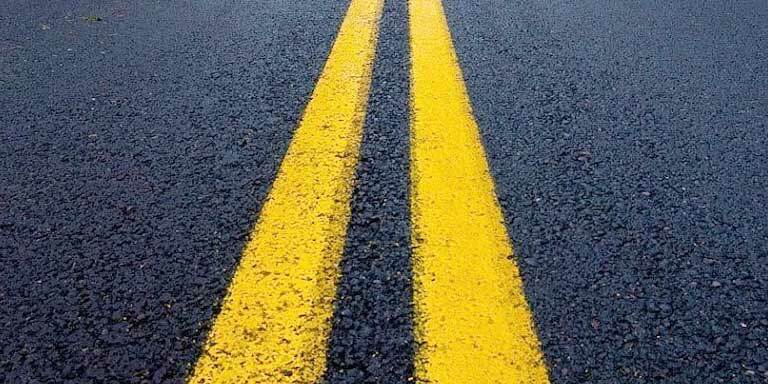 Yellow lines separate traffic going in opposite directions. 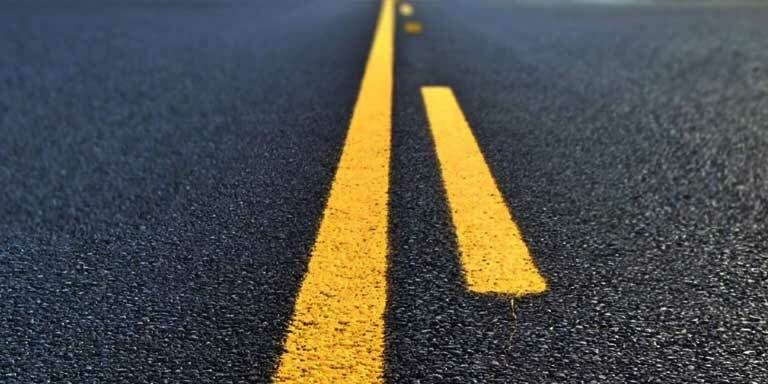 On divided highways they mark the left edge. B. Mark the middle of the highway. 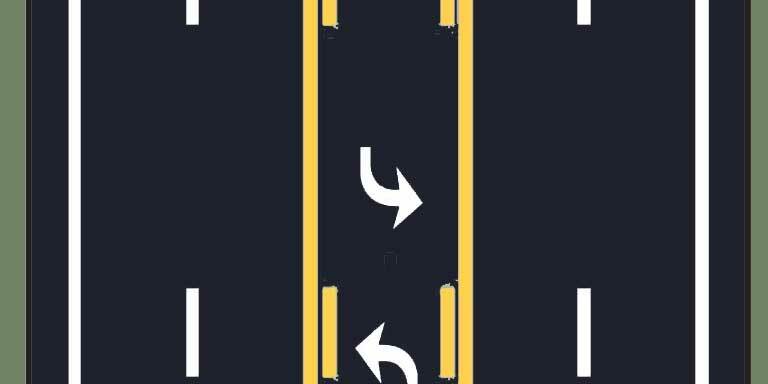 White lines separate lanes of traffic going in the same direction. 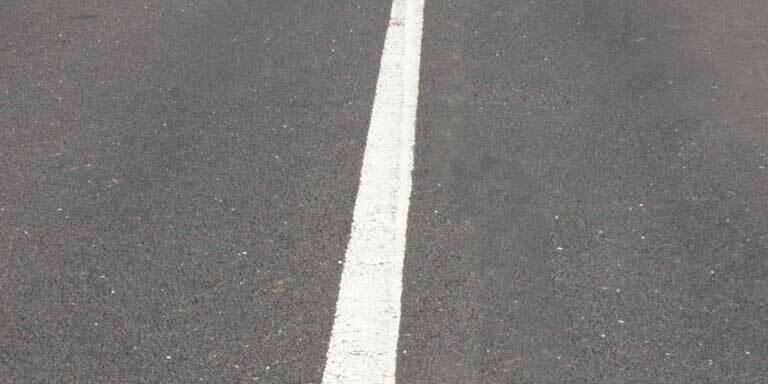 A white line also marks the right edge of the highway. 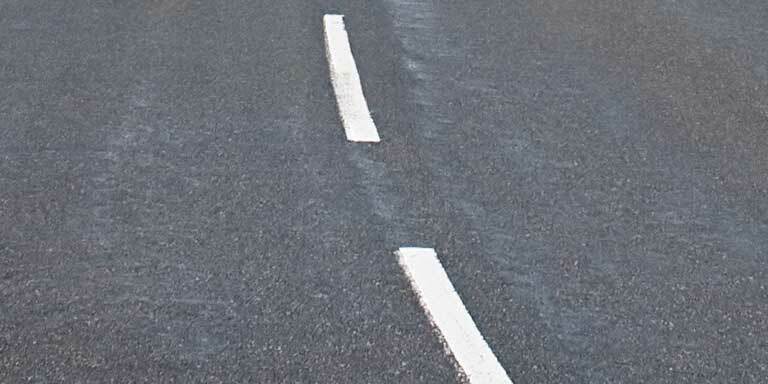 You may cross a broken white line to change lanes when it is safe to do so. Broken (or dashed) lines indicate a permissive condition. 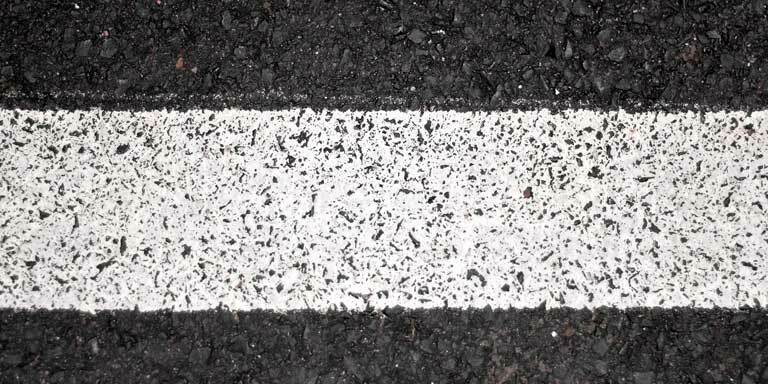 Single solid white lines are used when crossing the lines is discouraged. Don’t cross the line unless you must do so to avoid a hazard. 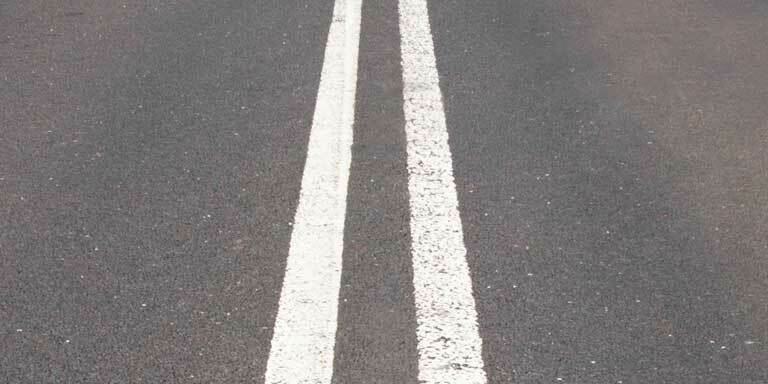 A double white line prohibits lane changes. Double lines indicate maximum restrictions. B. May be crossed when passing other vehicles, if safe. 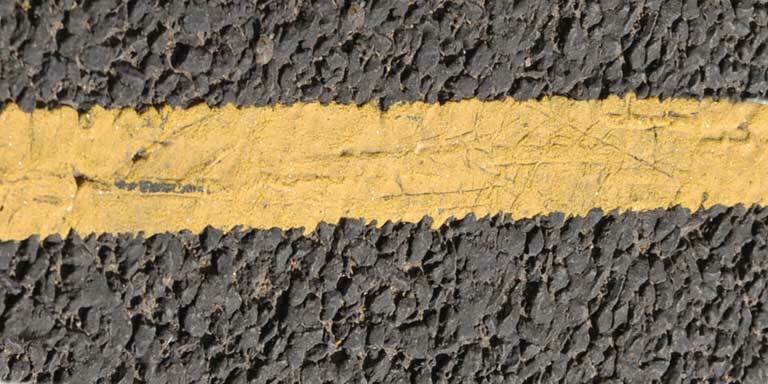 A single broken yellow line marks the center of a two-way roadway. Traffic traveling in either direction may pass other vehicles with care and when safe. B. When passing other vehicles, if safe. 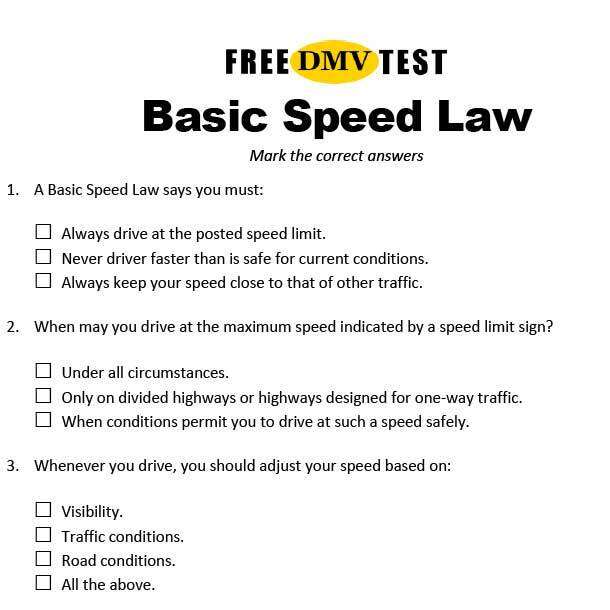 If there is a double solid yellow line in the center of the road, you are in a no-passing zone. You cannot cross the line to pass other vehicles. You may, however, cross the line as part of a left-turn maneuver. B. Passing on the left is permitted in either direction, if safe. 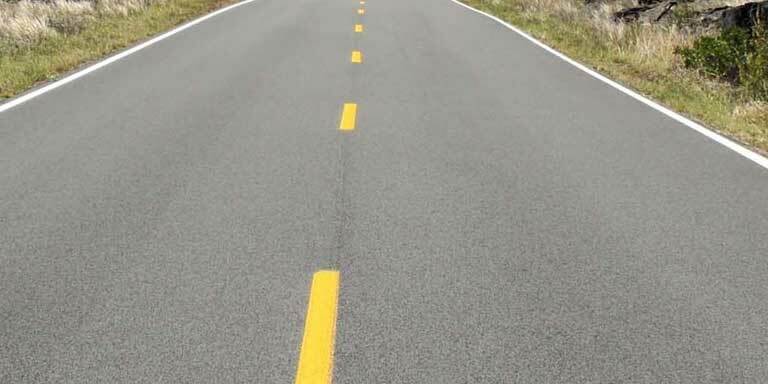 When double yellow lines are broken on right (“your side”) and solid on left, you may pass other vehicles if it is safe to do so. Drivers from opposite direction (with a solid line on their side) are not allowed to pass. A center turn lane has solid yellow and broken yellow lines on both sides. You may enter this lane from any direction to make a left turn. 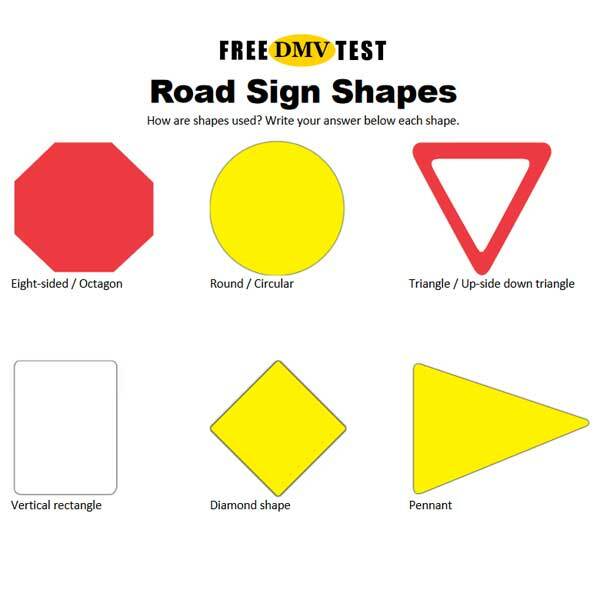 In most states, you can also enter this when making a left turn from a side road or driveway. 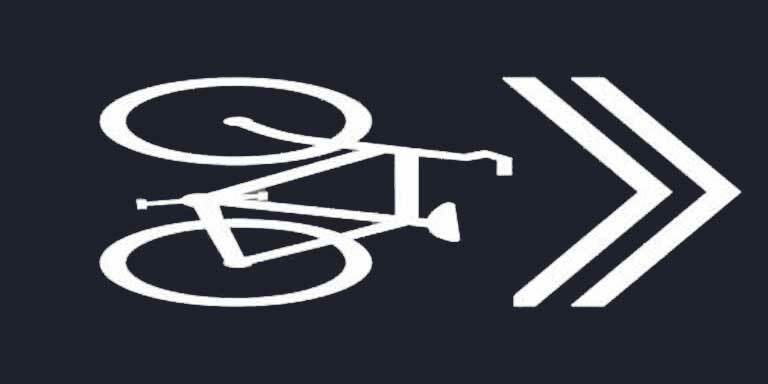 Sharrows (shared roadway bicycle markings) reminds motorists that bicyclists can lawfully use this lane. They also assist bicyclists with positioning on a shared roadway.